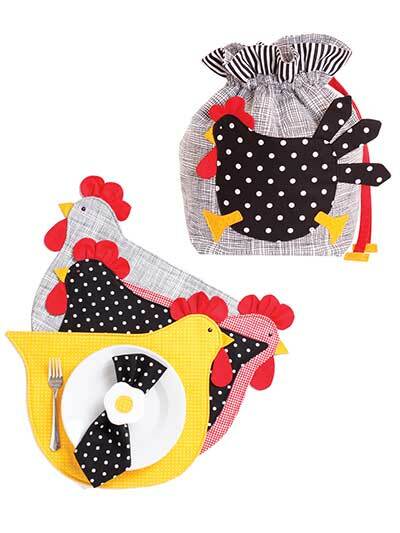 A whimsical and fun kitchen set. 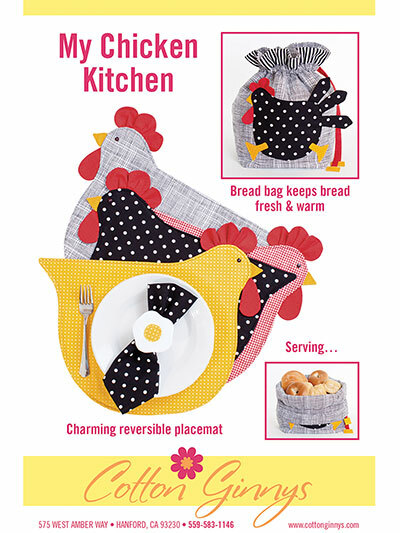 These adorable reversible place mat, napkin and bread bag patterns will make for a unique, practical gift for any of your friends or family. 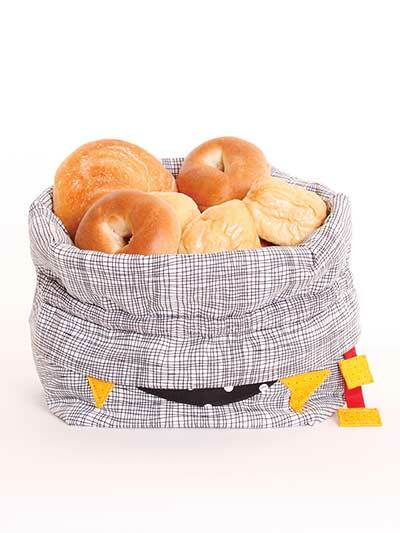 The bread bag will keep a dozen or more rolls warm and soft until you're ready to serve, at which time you can just fold the edges over and serve them right out of the bag! 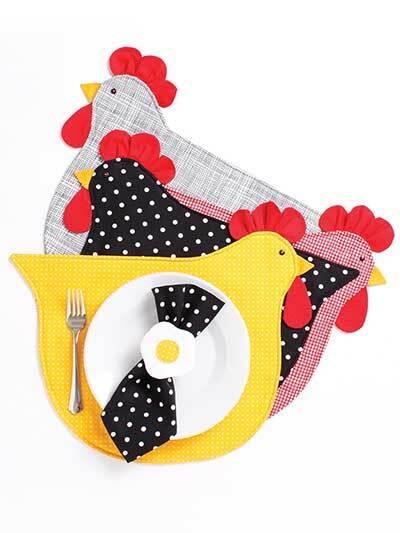 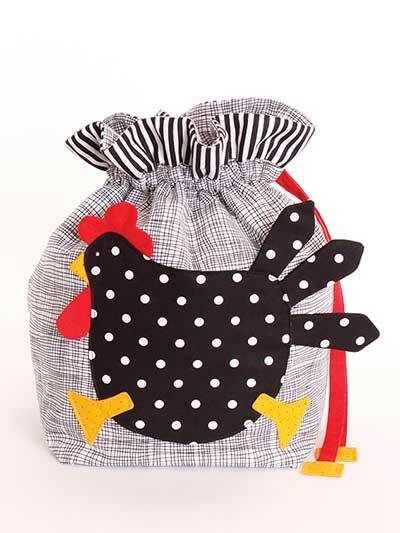 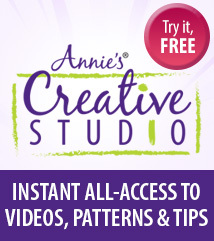 The pattern includes instructions to make a place mat, bread bag and napkin with an egg napkin ring. 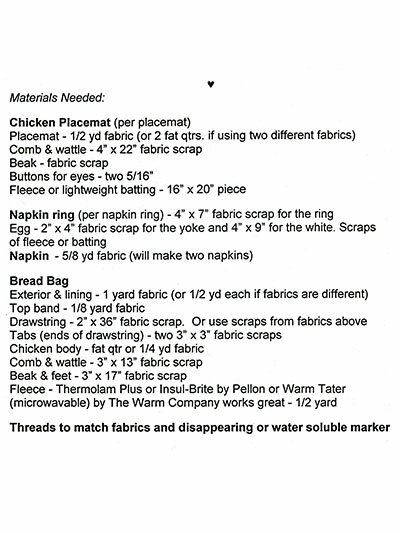 Bread bag: 8" x 12"
Quiltmobile Panel 6" x 12"